It is not so easy to find time for new Operating Systems tests now, when all the ads ask me to come and buy... That can help the budget in the future, but not now. Now I have another desire - to tell you something new I have learned recently. PC Linux OS came to my horizon quite unexpectedly. Somebody in Kubuntu forum trolled about future of Kubuntu, if it should stay or if it should go... many people told their opinions, and some of them mentioned PC Linux OS as their previous system. 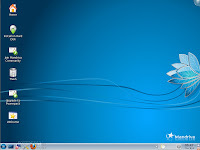 PC Linux OS was forked from Mandriva back in 2003. It currently exists in so many available variants, that it was difficult for me to choose. Few weeks ago I had similar issue when I was going to give Debian a go. That time choice was for LXDE environment. This time I went the same way. Disk image is downloaded. CD-RW burnt. Reboot. Choose to boot from CD. Let's go! What is the difference between the twins, or How many twists are there in spiral? Linux has an image of not-user-friendly operation system. Most people think they are not technically educated enough to work in Linux. That's not right. Linux made leaps towards user friendliness in recent years. Whole my blog is just one big anthem for it. Niece comes over to stay, she is on the computer all the time, and never notices that she is using a Linux system! Isn't it a good proof? Of course, not all the distributives have done equal steps on this road. Some of them remain oriented on technical people. 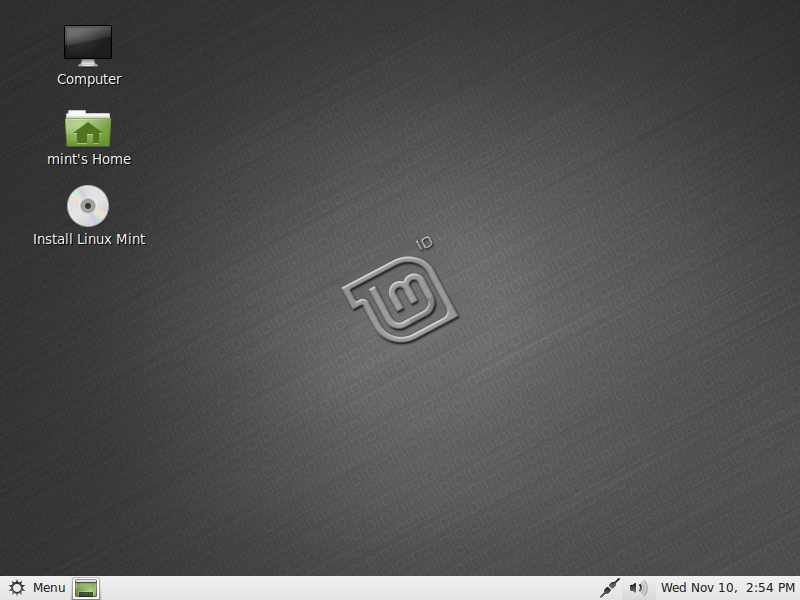 Linux Mint is a distributive created by team of Linux fans. They want to make Linux experience as easy as possible. Last time I wrote about Linux Mint 10 Julia. This is what Mint team made from Ubuntu 10.10. Ubuntu-based system is not the only project run by Mint team. Their recent initiative is Mint based on Debian. This is Linux Mint Debian Edition (LMDE). I must try it! Why wait! Another brick in the Toshiba wall, or It yet moves again! 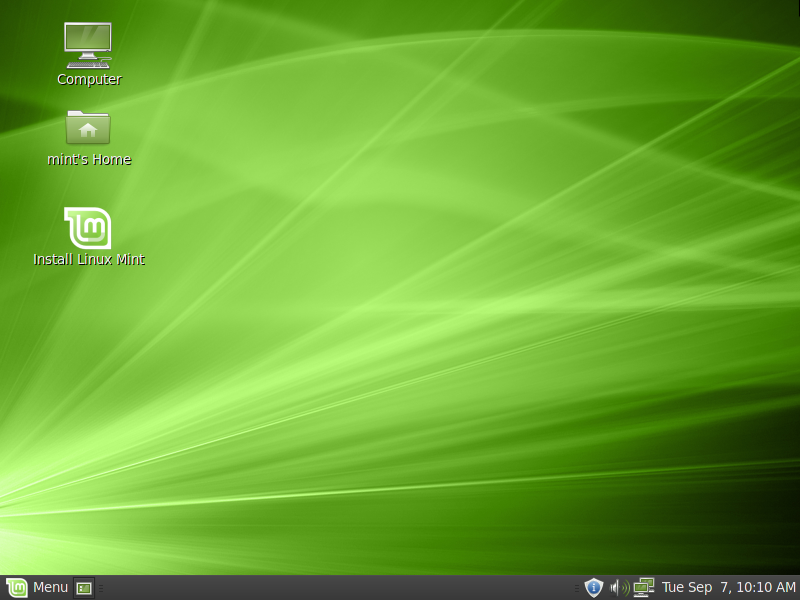 My last post was about Linux Mint, which in my humble opinion is just slightly facelifted Ubuntu. Facelift makes it better, no doubt. But that it still facelift, not separate distributive. My post before last was about usage of Live Linux on my Toshiba laptop. That time I tried to run Ubuntu 10.10 from CD. As soon as I had CD with Linux Mint 10 Julia on it, why not try to run it on Toshiba as well? No questions! Just do it! Or, as I like to tell my friends, just Nike it! On What Does Mint Grow? Linux Mint. It claims to be 4th most popular operating system in the world. Only Ubuntu Linux comes ahead of it, other two being Windows and MacOS. I heard about this Linux distribution ages ago. But there were other systems to try. And then I read the message in my blogroll linked site: Three months is not a bad run. That gave me additional impulse in that direction. Now I can put my hands on this one. So, let's use standard way: download CD iso-image from the official web site. My choice was in Linux Mint 10 Julia. It has GNOME desktop environment, which is default for Linux Mint. Although, other versions are also available as "community editions". Burn it to disk. Reboot the computer. Choose to boot from CD. Let's go! I wrote at the very beginning that I have 2 laptops: Compaq approximately 4 years old, and Toshiba which will be 1 year old soon. I do most of my experiments on Compaq one. This is playground and sandbox for all the Linuxes I try. But I also try to start live versions of Linuxes on Toshiba. So far, all the attempts failed. Network cards, either WiFi or LAN, could not be recognised by any distributive. I also have kind of web store for those who want to buy CDs with Linux on it. It is accessible via line Buy Linux CDs at the top of the page. In addition to that, I sometimes put similar items on eBay. How all these thing linked? They were not linked, until once they all combined together into one nice solution! Does Net Mean Inter? Or Not? Fedora is a nice part of Linux OS family. I have already tried Fedora 13. But, as I noted there, while I was doing my experiments and writing a blog post, new version of Fedora was released. It is now time to try new release - Fedora 14. Fedora comes with different type of Windows managers: KDE, XFCE, LXDE. But my choice for Fedora 14 was the same as for Fedora 13, was GNOME. So, download image. Burn it to CD. Reboot computer. Choose boot from CD. Let's go! I have tried different distributives so far. Some of them are purposely built as desktop versions, some as pocket system. But all the modern Linux distributives have roots in very few distributives created on the dawn of Linix era. They are: Red Hat, Slackware, OpenSuSE and Debian. Anybody can name more? Please use comments for this! Red Hat became a commercial product, and Fedora is its sandbox-playground. I already tried it as Fedora 13. 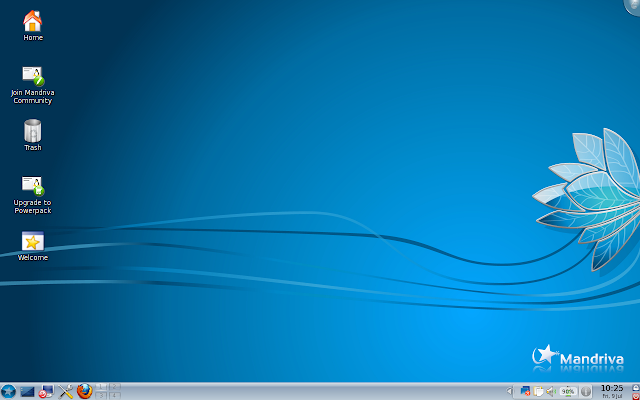 New post about Fedora 14 is in the plan. Slackware does not have any Live version. Or I could not find one on their site. SLAX is not an option, as it is (was?) developed independently from mainstream. OpenSuSE already was in my hands. And then comes Debian. It is basis for Knoppix, Ubuntu (including Kubuntu), DSL, and many-many more. Should I try it? Of course! I recently wrote about Linux distributive which was derived from Red Hat once Red Hat became commercial. But Fedora is not the only derivative in there! As long as Red Hat is still open source software, anyone can use their source code for own purposes. That's the way how CentOS was born. Selection of available versions for CentOS is not massive. If you want to have Live system, you have a choice of only one variety. Practically, this is GNOME-embedded system. No choice between KDE, LXDE or any other windows manager. At least, for CentOS 5.5, which I used. Anyway. Following procedure is standard. Download CD image. Burn it onto CD-RW disk. Reboot. Choose to boot from CD. I wrote several times that I have several versions of Linux installed on my laptop. If we have a team, let's make a competition! So, racecourse is my laptop. Some Penguins are already living on hard disk, some will be running from CD, some will be running from USB drive. Time will be counting from the time when GRUB selection is made (for HDD install) or from start of CD/USB boot selection in BIOS for those who start from there. If there are any requirements to enter any details in order to start system, time to make correct selection or type details is also taken into account. Stopwatch will be stopped when computer is booted and ready for use, including WiFi connection made (where possible). If WiFi requires separate configuration (password entry etc), this time is also taken into account. I know some of these assumptions makes competition unfair for CD/USB launched systems, but let it be this way. Are there 10 reasons to upgrade to 10.10? What can happen at 10:10 on 10.10.10? Of course, it can only be a new release of Linux operation system Ubuntu, version 10.10. I was happy owner of free CDs sent me by Canonical representative. These were CDs with Ubuntu and Kubuntu 10.04 LTS versions. After some investigations and thoughts, those two systems were installed on my laptop somewhere at the end of September. And then 10.10.10 came along. Everyone is familiar with this wonderful fairytale of Red Riding Hood. This is a story of little girl who wore small riding hood. But all the girls grow up.. Riding hood grows up as well and may well become Red Hat. This time I've tried a distributive which is very close to the fairy tale Character. No, that is not Red Hat Linux. My first and only (yet) acquittance with Red Hat Linux was 10 years or so ago... Since then Red Hat became fully commercial product for enterprises and no longer supports individuals. But there's an alternative for it. It is also a headgear. This is Fedora. Fedora is actively supported by Red Hat, and acts as playground for new technologies before they are included into main Red Hat package. My guinea pig was Fedora 13 with GNOME. But, as per Russian saying, "old friend is better than two new ones". So, I have 3 friends, which are old enough to be considered as old. All these three distributives found their way to my HDD, and I frequently have a dilemma which one to use today. But even old friends may need new clothes.